This page (together with the documents referred to on it) tells you the terms and conditions on which we supply any of the products (Products) listed on our website www.petfleas.co.uk (our site) to you. Please read these terms and conditions carefully before ordering any Products from our site. You should understand that by ordering any of our Products, you agree to be bound by these terms and conditions. www.petfleas.co.uk is a site operated by Beeston Animal Health Limited ("We"). We are registered in England and Wales under company number 02905946 and have our registered office address at Leeman House, Station Business Park, Holgate Park Drive, York YO26 4GB and our trading business address at Whitchurch Road, Beeston Castle, Tarporley, Cheshire, CW6 9NJ. Our VAT number is 228928865. 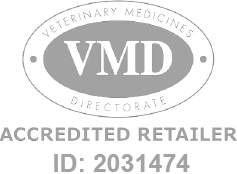 In relation to POM-V products, your order shall only be accepted when we have received the original hard copy vet's prescription via post or by uploading the vet’s prescription to our site during checkout and agreeing to the disclaimer. Your payment will be taken at the time of order and once the prescription is received the contract between us is formed. If you do not send us the original hard copy prescription or fail to upload a valid prescription you must contact us for your payment to be released back to you. If you do not contact us and we do not receive the original hard copy prescription within 30 days of the date of your order, your payment will automatically be released back to you. All notices given by you to us must be given to Beeston Animal Health Limited at Unit 12, Portal Business park, Eaton Lane, Tarporley, Cheshire, CW6 9DL or alternatively sales@petfleas.co.uk. We may give notice to you at either the e-mail or postal address you provide to us when placing an order, or in any of the ways specified in clause 11 above. Notice will be deemed received and properly served immediately when posted on our website, 24 hours after an e-mail is sent, or three days after the date of posting of any letter. In proving the service of any notice, it will be sufficient to prove, in the case of a letter, that such letter was properly addressed, stamped and placed in the post and, in the case of an e-mail, that such e-mail was sent to the specified e-mail address of the addressee.